DAYTONA BEACH, Fla.—Oz Negri in the #60 Shank Honda might have won the pole for the Tudor United SportsCar Championship 53rd Rolex 24 at Daytona, but he barely got a chance to lead. Scott Dixon in the #02 Ganassi Riley-Ford EcoBoost jumped Negri at the start and blazed into the first corner ahead of the field. Eventually the #01 Ganassi car, driven by teenager Sage Karam, took over the lead and held it as night fell at the four-hour mark, one-sixth of the way through the race. Max Angelelli in the #10 Wayne Taylor Racing Dallara-Corvette, followed closely by Christian Fiitipaldi in the #5 Action Express Coyote Corvette. 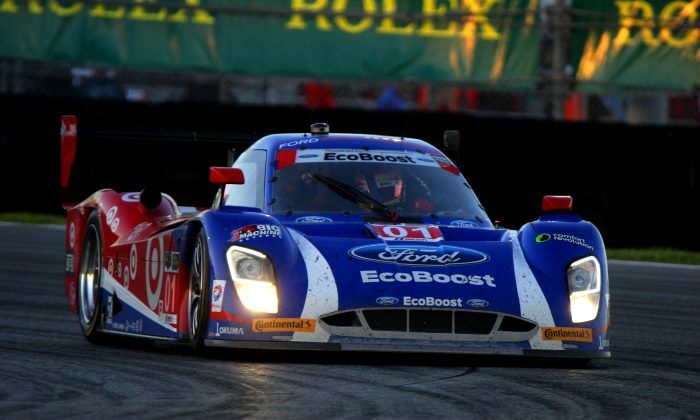 While one of the Ganassi cars had a lock on the lead of the race, fight for third in the Prototype class was fierce and ongoing, as Jamie McMurray in the #02 Ganassi car continually harried Christian Fittiipald. Antonio Garcia in the pole-setting #3 Corvette Racing C7.R lead the GT Le Mans class, followed by Bruno Spengler in the #25 BMW team RLL Z4 GTE and Marc Lieb in the #911 Porsche North America RSR. James Gue in the #54 Core Autosports Oreca FLM-09-Chevrolet led Prototype Challenge, and Anthony Lazzaro in the AF Corse Ferrari 458 Italia led GTD at 6:10 p.m. The race is currently being broadcast on Fox Sports Two until 8 p.m. Eastern, when the coverage switches to Fox Sports One. Radio Le Mans has audio (and video for viewers outside the U.S.) as does IMSA.com. IMSA.com provides Live Timing and Scoring as well, to keep you right on top of the standings. Night has fallen fully and the temperature is dropping. Engines will start making more power but tires will have less grip, and eventually, everyone will start to get a little tired. It will be dark for almost 12 hours—longer than all the other major endurance races. The racing never slows down—in modern endurance racing, every lap is a sprint, testing car and drivers to their limits. Follow the action overnight on IMSA.com, and when the su rises, the TV coverage resumes on Fox Sport 1, 7 a.m. until the checkered flag at 2:10 p.m. Sunday.